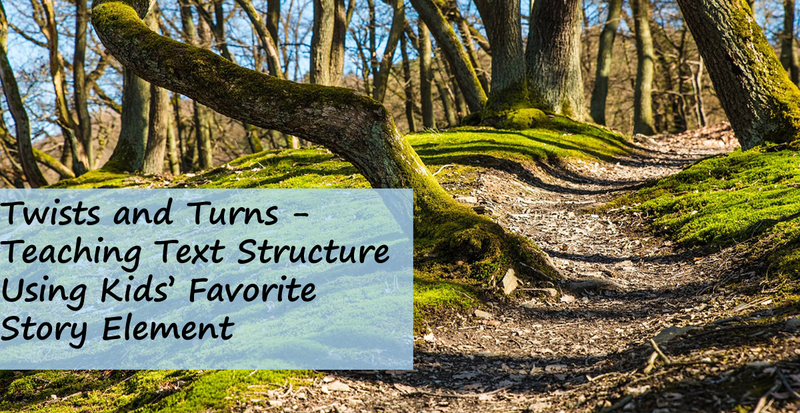 For many kids, maybe most, reading is all about twists and turns of plot. And what makes plot exciting is the conflict. Kids read to see what will happen next. How will it all work out? Fortunately for teachers, plot is an excellent lead-in to all sorts of reading lessons. 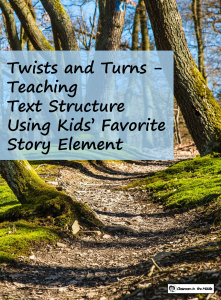 From plot maps to types of conflicts, there are story element lessons here, but there are also lessons to be had about text structure. One of the basic text structures – chronological, or sequential, order – is all about plot. 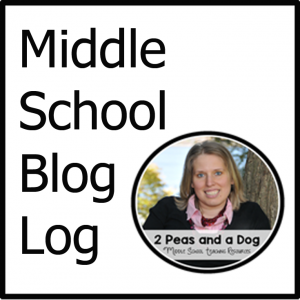 Learning about the chronological order in terms of plot can make it more meaningful to kids. 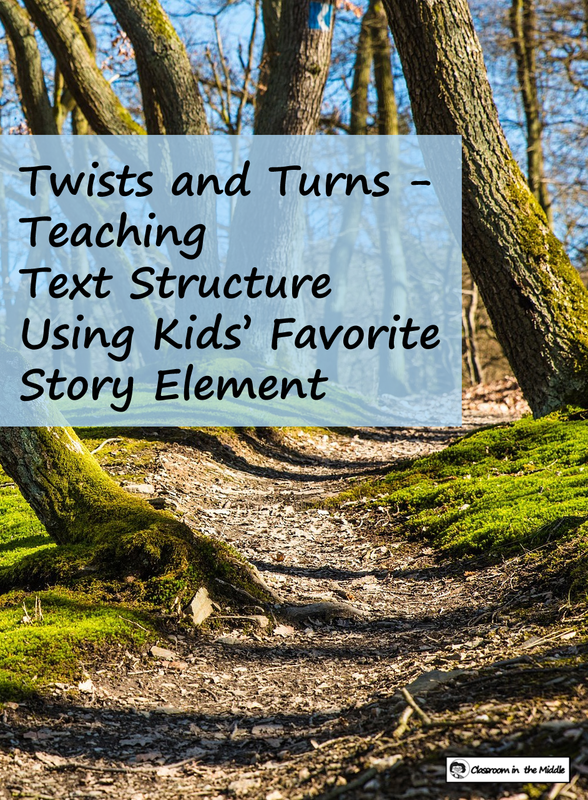 Kids learn to readily see how those twists and turns that they love grow out of a text structure employed by the author. 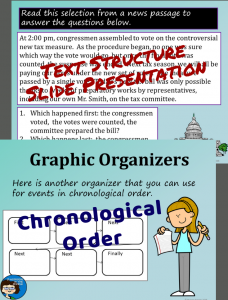 I’ve tried to incorporate this idea into my text structure resources about chronological order with a variety of activities. 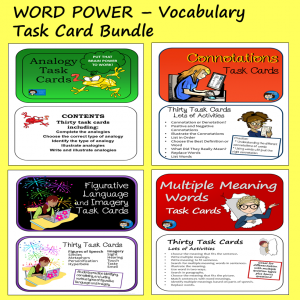 Here you can see a few of the slides from the slide presentation and two of the task cards. 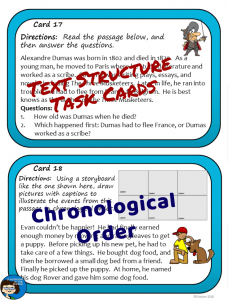 Chronological order seems to be one area where story elements and text structure can really be taught together. 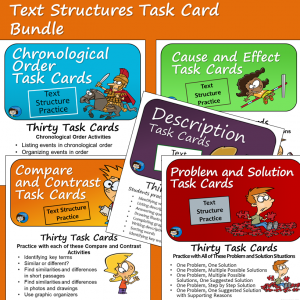 If kids are already familiar with the story element of plot, coming across chronological order when they first tackle text structures can be a great connection. Kids can also use a plot graphic organizer to do the prewriting for a narrative of their own, along with some discussion about how they are setting up the text structure for their own writing in the process. Looking carefully at the chronology of a story is a great way for kids to see how, and when, the conflict and resolution of a story fit in. Not all kids realize that most stories fit into a particular story arc, and seeing this demonstrated can lead to real understanding. More advanced ideas like foreshadowing and flashbacks make sense in the context of plot and chronological order as well. 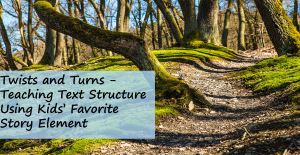 It could also be a good time to look at unique ways that author’s organize their books, such as having alternate chapters told by different characters, since this may result in some skipping back and forth with the chronological order. And chronological order quirks specific to certain genres fit in here too, such as mystery stories which may have the most important event happen first with the rest of the story leading back up to the discovery of that event. 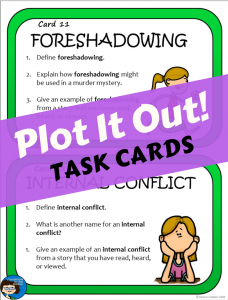 I’ll finish up with an image of two of my task cards from the Plot It Out! set.